Texas A&M students learn about Stonehenge while studying abroad in Britain. For many Aggies, holiday giving includes gifts to Texas A&M as well as presents to friends and family. 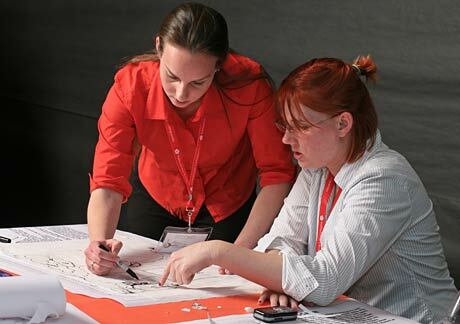 If there's room on your year-end giving list for the College of Architecture, there's plenty of opportunity to make a difference in a way that is meaningful to you. This year, the endowed professorships honoring Rodney Hill and David Woodcock are at the top of the list, since former students started both initiatives and each will have broad impact across multiple disciplines in the college. Study abroad scholarships, which help students who otherwise can’t afford the added expenses of the college’s most valuable “other education” experience, are also a high priority. Likewise, each department and program has its own priorities that can benefit from your gift. Architecture professor Rodney Hill, pictured here in his Dr. Jekyll costume at the AIAS Halloween party, Architorture, is featured in the latest issue of the Texas A&M Foundation's Spirit magazine. See story & video. Professor Rodney Hill has inspired decades of dreamers since coming to the College of Architecture in 1969. Recently, some of those former students launched an effort to honor one of the College’s most celebrated teachers with an endowed professorship that will not only bear Rodney Hill's name, but will also extend a legacy of creativity in the classroom and studio. The Rodney Hill Professorship in Creativity and Design is a $150,000 fundraising effort that will be a permanent source of support for a faculty member in the College of Architecture whose teaching and research mirrors the creative legacy established by Rodney over the past four decades. A former design student talked about establishing a scholarship through the Texas A&M Foundation to help students have a study abroad experience like he did in the early 80s during an interview on the Texas A&M Sports Radio Network. He said study abroad was a terrific experience that widened his perspective not just on architecture, but also about "different cultures and the way different people think." For decades, David Woodcock has been the face . . . and the voice . . . of historic preservation in the College of Architecture at Texas A&M University. It’s little wonder that former students and other “Friends of David” have launched an effort to recognize his career by creating the David Woodcock Professorship in Historic Preservation. This endowed professorship, to be held by the Director of the Center for Heritage Conservation, will be a permanent source of support for preservation studies in the College of Architecture and a tribute to a beloved faculty member whose leadership shaped the Department of Architecture and those studies for decades. Two new endowed scholarships in the Department of Construction Science will benefit future generations of Aggie constructors. The Ellis Custom Homes/Debra ’90 and Keith Ellis ’88 Scholarship and The American Subcontractors Association Houston Chapter Scholarship were both created last month through the matching scholarship program of the Construction Industry Advisory Council. Four faculty members at Texas A&M's Department of Construction Science have been awarded endowed professorships beginning this fall and ending in August 2012. A selection committee composed of College of Architecture faculty reviewed nominations for the professorships and forwarded recommendations to the dean, Jorge Vanegas, who approved the selections. As Texas A&M 2010-11 Undergraduate Research Scholars, eight environmental design students and one construction science student are researching subjects ranging from successful nonprofit logo designs to using video games to enhance the design process. The research scholars program assists students in preparing an undergraduate thesis and includes a $300 award, special seminars and access to experts and other mentoring services. Visualization professor Ergun Akleman discusses algorithms for generating cyclic twill-woven objects at the 12th annual College of Architecture Research Symposium: Natural, Built, Virtual. Natural, Built, Virtual, the 12th Annual Texas A&M College of Architecture Research Symposium featuring a series of faculty presentations previously delivered at scholarly venues around the world, took place Oct. 18, 2010 at the Langford Architecture Center on the Texas A&M campus. The symposium including more than 50 invited or refereed presentations and papers from the 2009-10 academic year, was divided into diverse categories and delivered in several concurrent sessions. The 2010 presentations were grouped in broad categories including invention, energy, modeling, management, policy, pedagogy, aging, innovation, perception, history, archaeology, excogitation and well-being. 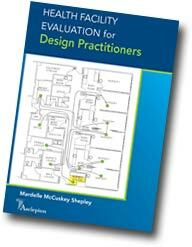 Hailed as a definitive resource for evaluating health facilities, a new book by Mardelle McCuskey Shepley, professor of architecture at Texas A&M University, is now available from Asclepion Publishing, LLC. The book, "Health Facility Evaluation for Design Practitioners," provides information to help design professionals better understand, plan, conduct and share pre- and post-occupancy evaluations of health facilities. 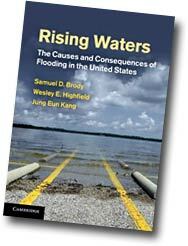 Policymakers, government employees and engineers can learn to make communities more resilient to the negative impact of flooding by reading "Rising Waters: The Causes and Consequences of Flooding in the United States," a new book co-authored by Sam Brody, professor of urban planning at Texas A&M, available soon from Cambridge University Press. Brody and his co-authors, Wes Highfield, assistant research scientist at Texas A&M University at Galveston's Department of Marine Science, and Jung Eun Kang, research fellow at the Korea Environment Institute's Adaptation Center for Climate Change, spent five years researching the topic with a grant from the National Science Foundation. Sarel Lavy, assistant professor of construction science at Texas A&M, has been tapped to serve as North America regional editor of Facilities, a scholarly journal that contributes to the advancement of facilities management. Facilities, published by Emerald, an independent publisher of research, covers the multidisciplinary topics of people, property and process management expertise that underpin successful organizational functions in the workplace. Years of research efforts by Texas A&M's Center for Heritage Conservation came to fruition Oct. 20 when U.S. Rep. Chet Edwards announced the reopening of Pointe du Hoc, in Normandy, France, one of World War II's most important battlefields and a source of pride for Aggies everywhere. Robert Warden, director of the CHC, and David Woodcock, CHC director emeritus, joined Edwards for the announcement, which took place at the Langford Architecture Center on the Texas A&M campus. The group was joined, via a conference call, by Max Cleland, secretary of the American Battle Monuments Commission, which administers the site and other U.S. military memorials and cemeteries abroad. The award-winning Aggie groHome graces the National Mall during the 2007 Department of Energy Solar Decathlon. Since competing in 2007's Solar Decathlon in Washington D.C., Texas A&M's award-winning entry in the solar-powered home design and build contest, the Aggie GroHome, has been on display at the Bush Presidential Library and Museum and is now the centerpiece of a sustainable education and research facility in San Antonio. Texas A&M's entry, renamed "SU CASA," now serves as a demonstration and hands-on teaching tool at the Alamo City's Mission Verde Center @ Cooper, a multipurpose education, training and research center for renewable and energy-efficient technologies, water management and conservation. Lang hosts discussion of the real vs.
A panel's exploration of the real and virtual environment's effects on humanity was moderated by Peter Lang, associate professor of architecture at Texas A&M, during an Oct. 12-17 audiovisual arts festival in Utrecht, The Netherlands. The discussion, "What is Real/Virtual," examined technology's deep penetration of people's conscious perception in everyday life. The panelists eyed the difficulties such hybridized, real-virtual environments present to the human experience, asking, “where does it begin and end, have we become the binary elements that switch on and off, and what point is there to distinguishing authentic from artificial?"